Chemtrails are a widely debated phenomena: are they real? Are they just the talk of crazy conspiracy theorists? Regardless, people across the world who believe in them have one thing in common: severe illnesses and ailments that all seem to align with chemtrails. People are reporting illnesses associated with chemtrail spraying in countries around the globe. Unexplained deaths of animals and plant life are occurring as well. This page provides you with an overview of the illnesses that are being experienced. It also contains information that you won’t hear in mainstream media. Please take a moment and send a link to this page to a friend. You may help them by enabling them to discover the root cause of their own illnesses. These symptoms are being experienced by a rapidly-growing number of people around the world. 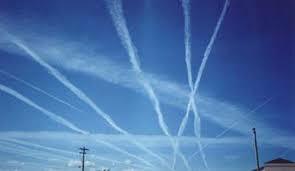 They are commonly associated with the appearance of chemtrails. Most of these symptoms are commonly associated with mercury poisoning. A few other items are associated with aluminum and barium toxicity. The toxins that make up chemtrails often have health effects that are cumulative, so if you are not affected by the spraying now, you may be affected in the near future. It’s important to think about children. Just as most symptoms of mercury poisoning do not generally appear until mercury reaches a certain level in the body, chemtrail toxicity appears to work exactly the same way. We have spoken to many people having symptoms that increased over time as they were exposed to chemtrail spraying. This cumulative effect is all the more reason to get involved in stopping the spraying even if you’re not experiencing symptoms right now. We have witnessed deaths of entire ladybug colonies after 3 extremely heavy days of spraying. Others are witnessing massive die offs of ladybugs in many other areas as well. There have been unexplained continuous deaths of bats and bat colonies. Over 11,000 bats died in 2008. The disease is being called “white nose syndrome” but the cause is baffling experts. Nearly everyone has heard about the massive bee die-off nation wide. The U.S. and U.K. both reported to have lost about one-third of its bee population in 2008. Soils are becoming contaminated with very-high levels of aluminum. 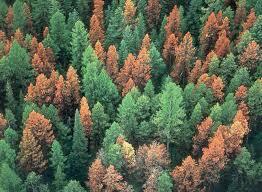 If aluminum levels elevate above 400ppm, numerous species of plants will die. Brown pelicans are dying in California. The cause is “a mystery” but they have found a “residue” on the feathers of the dying animals. Largest Whale Die-Off on Record: “This is the single largest die-off event in terms of numbers and in relation to population size and geographic range,” said Marcela Uhart, a medical veterinarian with the Wildlife Conservation Society (WCS). She represents an associate director in Latin America for the WCS Global Health Program. Mystery Crop Damage Threatens Hundreds Of Acres:Small dots appear to “burn” through leaves-Area affected is along Tipton and Shelby County line-Farmers afraid they may lose their entire crop. Numerous other environmental anomalies are occurring and we believe we know what is causing this harm, but we need to test our hypothesis and then publish our results. Finally, legal action needs to be taken to put an end to chemical spraying and to punish those who are responsible. I was watching heavy chemtrail action over Columbia County New York yesterday. I have seen it before became aware of it when a friend shared the information about two years ago. I was skeptical but no I’m not. What I don’t understand is where are all of those “radical environmentalists. Protesting in the street? Keep me posted on the truth! I have3 suspected chemtrails poisoning us and the earth for years. Thanks for this information.